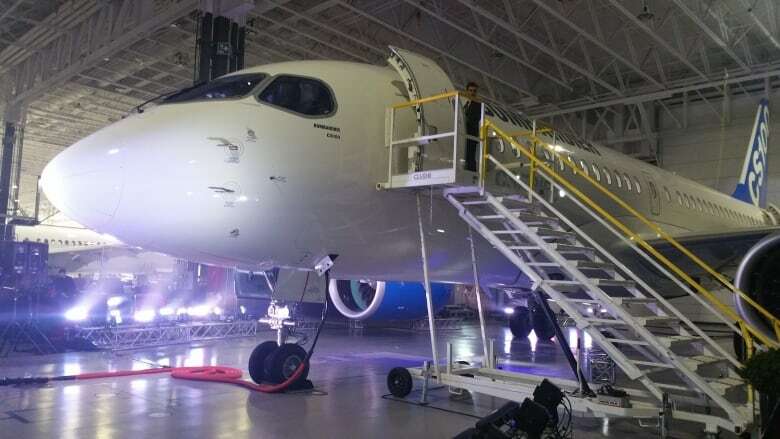 The federal government says it will give Bombardier $372.5 million in loans over four years to support the Global 7000 and CSeries aircraft projects. The federal government says it will provide $372.5 million in interest-free loans to Bombardier, a move that elicited criticism even though it is far less than the transportation giant originally sought more than a year ago. The money will be handed out in instalments over four years, the government said. Most of the loans would go to the Global 7000 business aircraft program, which is scheduled to go into commercial service next year. The remaining third would go to the CSeries passenger jet, which was mired in delays and cost overruns prior to entering commercial service last year. 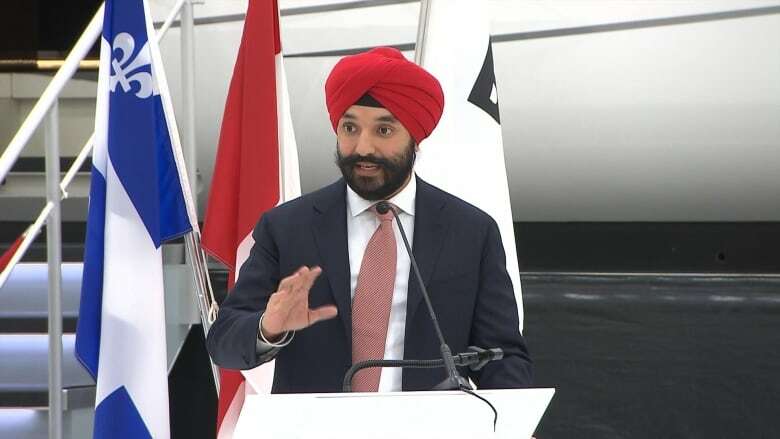 Innovation Minister Navdeep Bains said the money will preserve thousands of high-paying technology jobs in Ontario, where the Global will be assembled, and Quebec, where it will be completed and where the CSeries is built. "The investment I'm announcing today is the right solution for the time and in terms of innovation, jobs and long-term competitiveness for the company," he said. Last year, Bombardier received a $1-billion US investment for the CSeries passenger jet program from the Quebec government in exchange for a 49.5-per-cent stake. The company also sold a 30 per cent stake in its railway division to pension fund manager Caisse de dépôt for $1.5 billion US. Bombardier had also been appealing to Ottawa for $1 billion US in assistance since late 2015. "When Bombardier came to ask the government, they had particular needs," Garneau said when asked why Ottawa hadn't agreed to the $1 billion US request. "The situation has evolved — evolved in the sense that the Quebec government has since invested and so has the Caisse de dépôt. There was an increase in the orders with Air Canada and Delta. The company has restructured in an important way." He said the money provides the company with additional flexibility to weather technological and market challenges and help as it begins looking at future aircraft programs. The company will repay the loans through royalties on each aircraft sold. It's the same system used when Ottawa provided $350 million for the CSeries in 2005. Still, the federal assistance for the Montreal-based aerospace manufacturer could rile foreign competitors. Brazil has said it would launch a trade challenge against Canada before the World Trade Organization over financial support for Bombardier, which competes with Brazilian-based Embraer. Bombardier has said such a move would be without merit. Brazil has complained about $2.5 billion US in investments in Bombardier, including money to "ensure the viability of the new CSeries aircraft and its placing on the market at artificially reduced prices." International Trade Minister François-Philippe Champagne, had one message for any country considering a trade challenge: bring it on. "I am very much prepared to fight for what we are doing tonight," he said, adding that all countries, including Brazil, help their aerospace sectors. Bombardier made job cuts totalling 14,500 positions over the last two years in an effort to regain its financial footing.